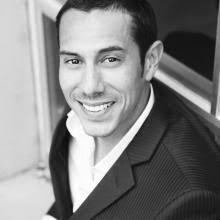 Eli Medina has worked in the real estate business for over 10 years. He began as unlicensed real estate assistant, and two years ago, Eli was able to activate his license and officially become the real estate agent he is today. Before working as a real estate agent, Eli built homes with his Framing company, Extreme Framing, for four years.To add to his diverse expertise, Eli held a mortgage license from 2005 to 2007. With extensive experience, Eli can help you thoroughly in every step of the buying/selling process. Specifically, Eli considers his specialty in new home construction. Along with this expertise, Eli also has great builder connections. His preferred lender, Corey Newell at Evergreen home loans, works with Eli in creating the most ideal situation for a new home owner. Eli is very well spoken. He prides himself in his reputation on punctuality, professionalism, and unmatched ethics. Because of this reputation, all of Eli’s clients are from an established, 100% referral based clientele. Outside of real estate, Eli is active in the community. He is currently a part time basketball coach for the Boise downtown YMCA Y-Ball league and the Christian League for Upwards Basketball. He loves the gym and is a full time member at Arbor Crossfit and Axiom. Eli is also a member of the local Boise Fellowship of Christian Athletes and the Knights of Columbus. In addition to athletics, Eli enjoys being active in his church, and he is presently a Lector at St. John’s cathedral, downtown Boise. With capability for almost anything, Eli is perfect to help you with your real estate needs.